Exploring the rich and sumptuous soundworld of iconic Roman Baroque composer Arcangelo Corelli and his classic Concerti Grossi - some of the most performed, printed, copied, imitated and revered pieces of the entire 18th century - the programme Roman Holiday details Corelli's influence on Handel's own development, musical aesthetics and orchestral soundscape, centring around Handel's vibrant, cosmopolitan 18th century orchestral masterpiece, The Water Music. 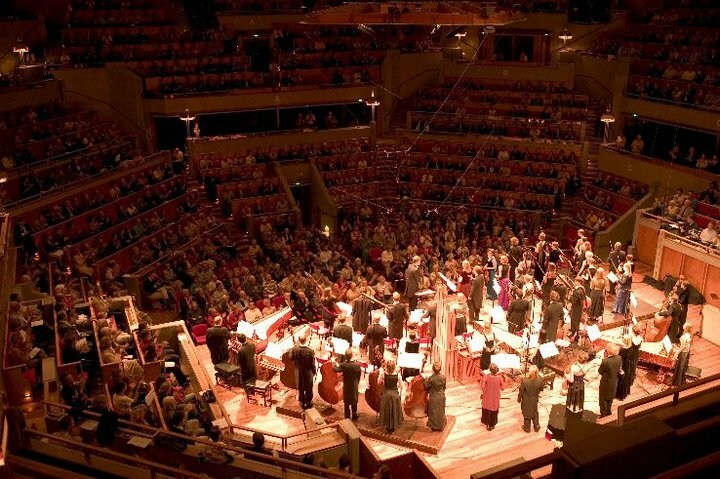 Simon Murphy first performed Corelli's Concerti Grossi in a very special anniversary production for the 2003 Corelli year with the NDA as the closing concert of the Holland Festival of Early Music Utrecht. Murphy's Corelli production and resulting groundbreaking, "legendary" CD recording (PentaTone Classics) was recently voted one of the top five highlights in the festival's 30 year history. Murphy was subsequently invited to perform Corelli's Concerti Grossi in Rome at the palace of the Italian president in Rome for guests including H.M. Queen Beatrix in a special performance broadcast live on RAI radio and TV (2004), also performing the works in Berlin at the invitation of Radio Deutschland and in Brussels at the Bozar for the Festival of Flanders with broadcast for Klara (2004). Following his success with Corelli, Murphy has been invited to perform Handel's The Water Music in sumptuous, large scale performances at numerous prestigeous European festivals and series, including the Amsterdam Concertgebouw in 2007 and at the Händel Festspiele in Halle in 2008. Recent guest conducting performances of the programme Roman Holiday with modern symphony orchestras have included the Queensland Symphony Orchestra in 2013.